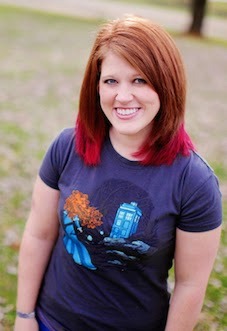 Left to Write: Awesomesauce Authors: An Interview & #Giveaway with Megan Whitmer! 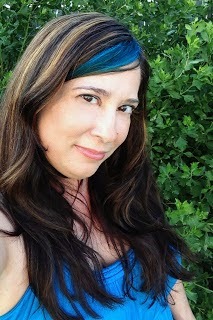 Awesomesauce Authors: An Interview & #Giveaway with Megan Whitmer! 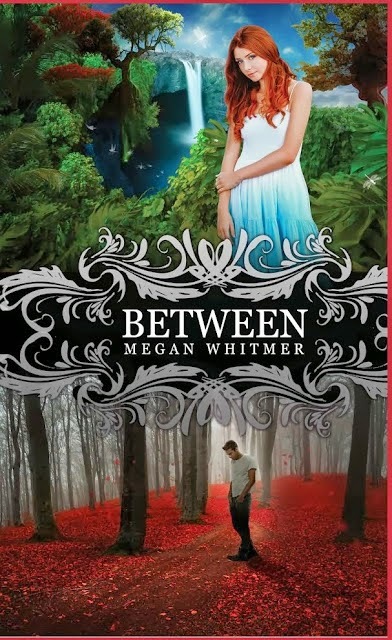 Today I'm thrilled to welcome Megan Whitmer to the blog, whose debut novel BETWEEN releases TOMORROW eeeeeek!!! Let's jump right in and learn all about Megan and her new book baby. And don't forget to check out the giveaway at the bottom of the post! Megan Whitmer loves all things Southern, and has a soft spot for football, kissing scenes, and things that sparkle. Aside from her personal blog and weekly vlog series, she's also a contributing blogger for YA Misfits and All The Write Notes. She lives in Kentucky with her family. Also, she writes books and talks a lot. You can learn more about her at www.meganwhitmerwrites.com. When a supernatural freak of nature forces her family to separate, seventeen-year-old Charlie Page must turn to her frustrating (yet gorgeous) neighbor, Seth, to help reunite them. Seth whisks Charlie to Ellauria—a magical world filled with the creatures of myths and legends—and tells her of the Fellowship, the group charged with protecting mystical beings from human discovery. (All except Bigfoot: that attention whore is a total lost cause.) But when Charlie learns that she's under the Fellowship's protection herself, well, "stressed" is an understatement. I’ve always turned to writing as a creative outlet—it’s been a constant in my life since I was a kid. Aside from some nonfiction work for a local telecommunications agency during college, I didn’t start pursuing writing as a serious career until 2011. I finally sat down and wrote what would eventually become Between, joined twitter, found some critique partners, and started querying and entering contests. I got a lucky break when the editors from Spencer Hill Press spotted my opening pages in the forums of WriteOnCon and asked to read more. 17yo Charlie encounters a monster and finds herself in the mystical realm's version of the witness protection program. Holy Sheet! I like the discovery of it. I don’t like outlining too much, because I feel like it takes away some of that “hmmm, wonder what’s going to happen?” I think it takes me longer to draft because of that, but it also makes the process so much more fun for me. I like not always knowing what my characters will say or do next. I hate those days when the characters won’t say or do anything! 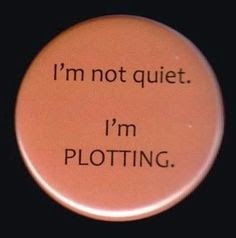 Those are the days that I wish I was more of a plotter. I try to plot the major events, but pants my way from one point to the next. Some days, I can’t figure out how to connect the dots and it’s incredibly frustrating. Now it's time to brag a little--What do you love most about your book? I researched creatures found in urban legends from all over the world in various cultures and time periods. It was fun finding ways to work them into the story, and I love how naturally many of them fit. I also love the twists on what humans supposedly know about some of the more well-known creatures, since the Fellowship has done a good job of spreading misinformation around. Alexander. He’s fairly complex. I really love Charlie and Seth, particularly when they’re together, but Alexander still surprises me, which is fun. I don’t feel like I know him as well as the others. As I work on book two, he’s really become the one that keeps me on my toes. What has surprised you most about publishing? It surprised me to realize how much work goes into a book after you actually finish the writing of it—after the editing and copyediting and whatnot. There’s still so much work to do that has nothing at all to do with writing. It took up a lot more time than I expected! I can’t decide between curd and chunky. Seeing people doing something they love- I love the uninhibited joy and confidence it naturally brings out in them when they’re in the act of whatever it is. What profession, other than your own, would you most like to attempt? I’ve thought about becoming a publicist. I’ve always thought that seemed like a really fun job. If Heaven exists, what would you like to hear G-d say when you arrive at the pearly gates? Why is McDonald’s Coke so good? I am SO GLAD YOU ASKED! It’s because it’s magical. It instantly cures most ailments, including hangovers, migraines, and, of course, thirst. LOL! Thanks so much for stopping by the blog today. Wishing you all the book sales!